Albert Robert Windust was born on Chicago’s west side near Hull House. His parents were Thomas (1849-1913) and Sarah Sheffield Windust (1842-1887). His father was a printer, who, shortly after Albert was born, moved with his family to a section of Chicago known as Woodlawn. They were members of the Episcopal Church. Mrs. Windust, a school teacher and a very active church worker, was the founder of the First Christ Church of Woodlawn (Episcopalian). In his early years, Albert Windust was not physically strong and this may have accounted for the fact that he had very little formal schooling. He was tutored in his early years by his mother and entered a public school at the fourth grade level. He ended his formak education in the sixth grade. Despite this, Albert Windust during his life attained a depth of knowledge and spiritual wisdom reached by very few. At the age of fourteen Albert became an apprentice in the printing firm where his father worked. The following November his mother died. His interest in nature awakened a desire to draw, and he became a pupil at Chicago’s Art Institute. Through associations made in the printing business, he illustrated stories of many authors, including Opie Read and H. Rider Haggard. Albert had an inquisitive and questioning nature. He learned of and became interested in the Bahá’í Faith. Word of this came to the ears of the minister of the Methodist Church of which he was a member. The sermon the following Sunday dealt with following false gods. While the sermon thundered around his ears, Albert Windust heard the words of the Lord that had been said to Abraham: “Get thee out of thy country, and from thy kindred, and from thy father’s house, unto a land that I will shew thee.” He left the church. Thornton Chase, the first American believer, became instrumental in attracting a small group, among them Albert who, in 1897, became a Bahá’í and gave undeviating devotion to the Faith until the day of his death. He was unquestionably one of its strongest and most competent servants. No activity that concerned the Cause in America but was strongly influenced by his devoted efforts. In 1900 he married Lucy Roberts (1875-1929) and they had three daughters, Sarah R. (1903-1940), Isabelle and Ethel. The list of Albert Windust’s achievements for the Bahá’í Faith is a long one. He was a member of the first Spiritual Assembly (Chicago). 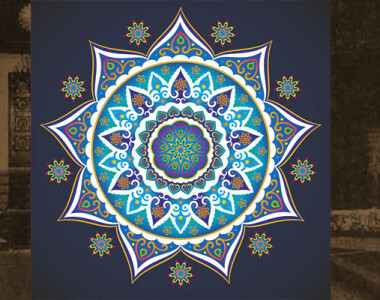 This body enjoyed the distinction of bearing the name of Baytu’l-‘Adl (House of Justice) and was so addressed by ‘Abdu’l-Baha in a series of Tablets, the first of which, before it was dispatched from the prison of ‘Akka, had been engrossed by Mishkin-Qalam, the celebrated Persian penman, in all the known forms of Persian writing. Ishqabad, Russia, and the “House of Spirituality” in Chicago, news was received concerning the erection of the House of Worship in Ishqabad. This activity had been initiated by ‘‘Abdu’l-Bahá and was a marvelous means of stimulating the work of the Cause in America. 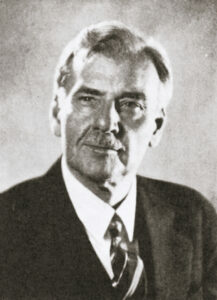 Albert Windust was a member of the committee which drafted the supplication to ‘Abdu’l-Bahá asking permission to erect a Bahá’í House of Worship in the United States. Albert became the first publisher of the Writings of the Faith in America. He printed booklets, early editions of prayers, and the Hidden Words of Bahá’u’lláh; in 1910 he founded and started printing the first Bahá’í monthly publication, Star of the West. In its early years this publication carried a Persian section. The Star of the West was circulated in the Orient and thus served to bring the oriental and occidental Bahá’ís into close contact. He gathered and published the well-known three volumes of Tablets of ‘Abdu’l-Bahá from Tablets written to the Bahá’ís in North America. 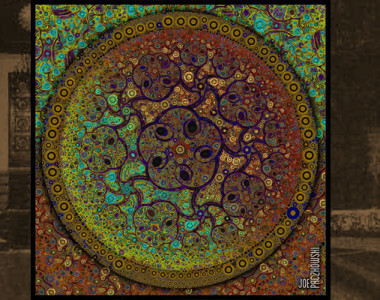 He also assisted Howard MacNutt in publishing the addresses of ‘Abdu’l-Bahá delivered in the United States and Canada, in 1912, under the title Promulgation of Universal Peace. Albert also helped in the compilation and publication of the first five volumes of The Bahá’í World for the years 1926 to 1934. In 1931 he made a pilgrimage to the Holy Land to visit the Shrines of Bahá’u’lláh and the Báb and to see the Guardian of the Faith, Shoghi Effendi. 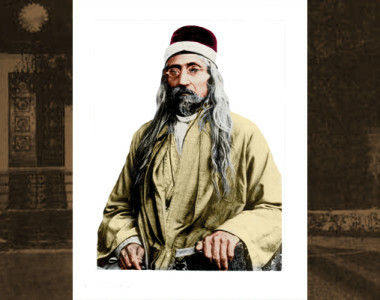 He deemed it a privilege he was chosen by Shoghi Effendi to carry to the Holy Land the twenty original Tablets of the Báb reproduced in Shoghi Effendi’s translation of The Dawn-Breakers, published in 1932. Albert, from the moment he heard of the Bahá’í Faith, was active in spreading it in America. He was a deep student of the Writings, an able speaker, a profound teacher of the Laws and Ordinances. His classes on the Covenant and Bahá’í Administration were most helpful both to newcomers and Bahá’ís of long association with the Faith. There was a freshness and vigor in his teaching; he radiated a love that reached the hearts. 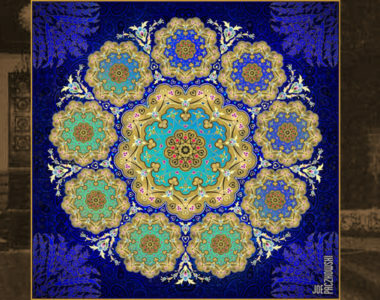 In his every-day life he demonstrated the power of the revealed Word of Bahá’u’lláh. 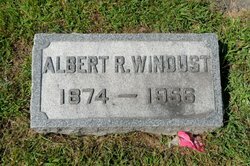 Albert Robert Windust will long be remembered. The inspiration of his faith and devotion has without doubt moved a great many souls into the orbit of the Faith of Bahá’u’lláh. Here was a man who was truly a channel of a great spiritual force – it shone in his countenance. Its radiance was felt by all who knew him and its influence spread to all with whom he came in contact.